I attended MicroConf 2018 which is the largest conference for self funded online entrepreneurs. The room was filled with people who were in business for a long time and unlike most conferences, the ratio of successful to yet-to-be-successful attendees was pretty healthy. The talks at the conference were also given by micro entrepreneurs who had modest success. Most were millionaires. In that array of speaker lineup there was an outlier. 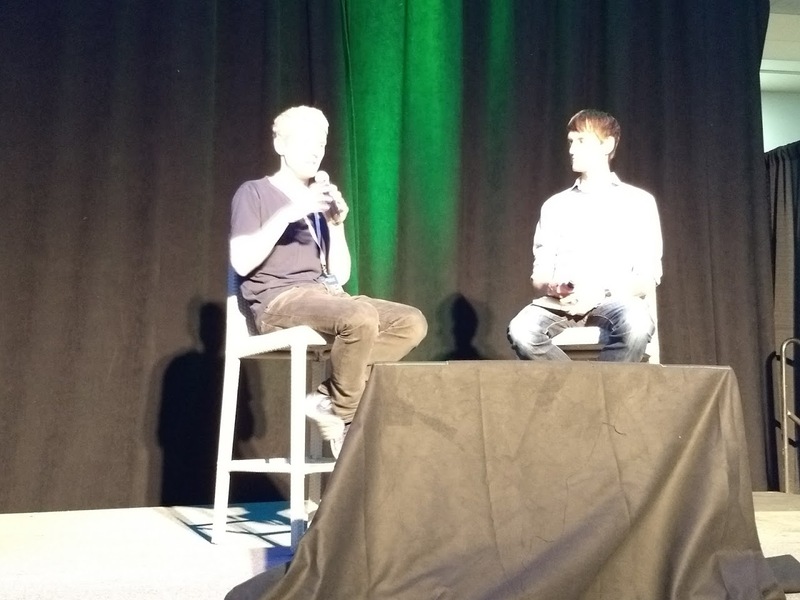 It was Patrick Collison, the older of the two brothers who started Stripe. Fun Fact: Patrick and I share the same month and year of birth. Patrick is 8 days older than me. Still under 30. Stripe is an online payment processor. They took the industry by storm when they simplified a truly complicated task of accepting payments online. Before Stripe was around, online businesses had to go through a lot of trouble to get approval from the Bank Gods to start accepting payments from their customers online. Businesses would have to spend a few thousand dollars for setup, plus pay a hefty transaction fee. Even after all of this the banks and merchant-providers would hold funds for a long time due to their inefficent processes. Stripe came around and fought the battle with the banking and merchants industry and got them on board so Stripe can provide a simpler, and painless solution to businesses. Stripe took on the risk and provided their services to hundreds of thousands of businesses. So there I was at MicroConf and we had broken out for a quick break. When I came back to the conference room I found a comfortable seat at the back of the room. I was not really curious to listen Patrick talk, since he was not one of us and I thought he could not add much value to the challenges of a small business owner like me. Well, I sat in casually and Patrick came on stage accompanied by Rob Walling (co-organizer of MicroConf) so Patrick could be interviewed. As both gentlemen settled in their high chairs on the stage, Rob took out his notes and started asking some questions he had prepared before hand. The questions were simple, nothing out of the ordinary. I could get answers to those questions online if I wanted, but there was something else of more value here. Reality struck in and I thought to myself, Oh my God, I am sharing a room with a billionaire. Within moments, I started to feel nervous. Now I didn’t want to be the guy who sat way back in the room when Patrick was talking. I wanted to get up and move a few rows ahead, but I was nervous. I managed to say “Shut it” to my brain and gathered the courage to move up to the middle of the room. It was surprising that this simple act of moving ahead in the room was such a huge task for me when I realized an important person was in the room. [ ] Notice how my emotions changed drastically when an important person was around me. I settled in a seat in the middle of the room, but it was not enough. I wanted to sit in the front row. I wanted the best experience. I didn’t want to see the people in front of me. I wanted a distraction free experience of listening to Patrick speak. Once again, I said to my brain “shut up” and I made my way to the first row (which was pretty much empty) and sat right in front of the stage. I am glad I did. Just from a logistics point of view I could see Rob and Patrick better. I could see their expressions and reactions better, and it gave me a better feel of what they were saying. Since 80% of the communication is non verbal, I would have missed the message had I sat in the back or in the middle of the room. Now you may be thinking, wow you put Patrick on a pedestal. Hmm in all honesty maybe I did. I dont know Patrick, I don’t know much of his story or background. I just know that he accomplished to become a self made billionaire and came to America as an immigrant. He tackled a very very very difficult challenge and did it at an early stage of his life (in his 20s) and have managed to solve it. Part of me admires his journey, and part of me wants the same success. Rob asked his share of the questions and then questions started rolling in from the audience. I sat in attentively paying attention to more than the words that Patrick said. I noticed his animated hand gestures, and his body language as he paused at times to think and then answer. That reminded me of how Steve Jobs would take his time to formulate his thoughts and answer questions. That was one of the things I noticed. And that was my aha moment. Hmm, reminds me of Jinnah, Gandhi, King, and Mandela on that note. [ ] When faced with a challenge, get excited about solving it, since massive opportunity lays behind it. [ ] Make effort to be around people who have accomplished what you want. Their thought process and vibe will rub off on you, and soon their super powers start appearing more human and within reach.